Rise, to meet me at the end of the trail. In the history of this province of Saskatchewan, Canada clouds have heralded both good fortune and terrible, horrendous bad luck. And as thus, does Saskatchewan receive its apt slogan, “Land of Living Skies”. “I looked back just once and the sky in the west was positively black. AS if a great fist had closed the sun’s eye. As if a range of mountains had broken loose and was galloping straight at me. The whole west was one great galloping cloud of smothering dust. I reached to turn on the lights. And the the shiver turned to elation. Because I saw the windshield again. A drop of rain had hit the windshield. A drop of genuine water. Even while I was watching, right before my eyes, a second drop hit. On the prairies, it is seen that the collective swarming behavior of grasshoppers is their survival mechanism in times of dry weather and food is scarce. Again, a healthy respect for nature, nourishing the land, preserving water all goes a long way to mitigate ruination, and defoliation of a crop. However, the plight of the pioneer does not end with clouds of dust, nor clouds of grasshoppers. The early homesteader had to be on the look out for clouds of smoke on the horizon, signalling a massive grass fire approaching. A fire which could range in length for hundreds of miles devouring everything in its path. In retrospect, those who reside in Saskatchewan welcome the spring clouds nourishing the crops in the field. The horrific and massive dangers of drought, prairie fire, and grasshopper are largely diminished because of adapted agricultural practices and lessons have been hard learned. As did Joni Mitchell we, also, have “looked at clouds from both sides now, from up and down…from win and lose” and from it all, the resilient pioneer had many tales to tell about Winning the Prairie Gamble. 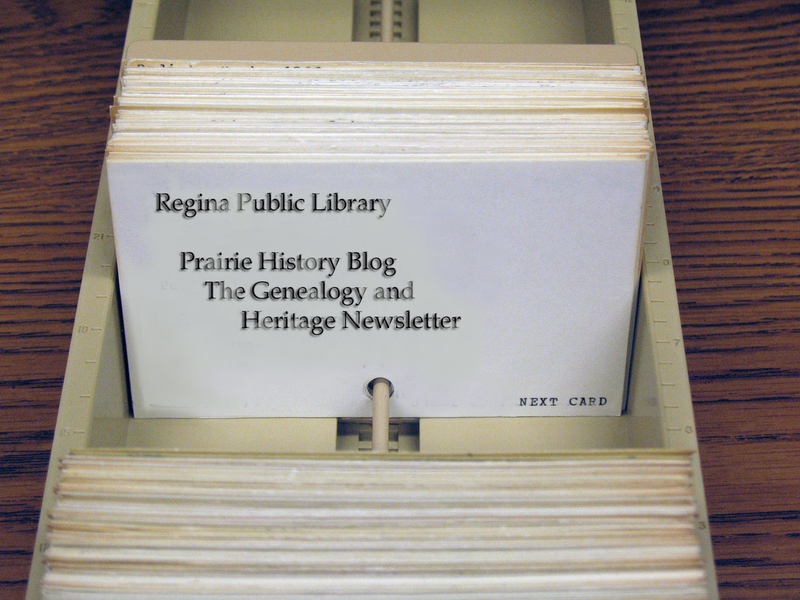 Genealogy hint and tip: In regards to stories from your ancestors, please peruse the Saskatchewan local history books. 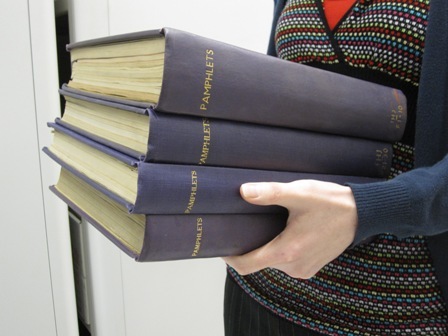 To discover which book may be useful, try the Saskatchewan Resident’s Index offered by the Saskatchewan Genealogy Society. Or find your pioneer’s homestead location, locate the legal land location on an historic map. On the map ascertain the closest place name to the homestead and use this information to search an online library database listing. Solicit the assistance of some kind soul on a posting board, a mailing list, or just offering to do a look – up or by wander down to your library and use their reference room. Discover which here ~ ordered alphabetically by SK place name with relevant Sask Gen Web region. Rural Municipality offices or regional museums may know if any local history books of the province’s 50th and 75 anniversary (1955 and 1980) may yet be available for purchase, or if the community wrote a new one for the 100th provincial anniversary of 2005. Illustrated. Chicago – Regina. The S.J. Clarke Publishing Company. 1924. Krogan, Agnes E. Thorbergson. And a church was built. Paustian, Shirley I. (Shirley Irene)Depression, 1929-1939, in the Prairie provinces of Canada. War years and the twenties. They cast a long shadow: the story of Moffat, Saskatchewan. Wooff, John. Harbinger Farm 1906-1920 Modern Press. Regina, Saskatchewan. In 1885, post-Confederation Canada’s first “naval battle” was fought in Saskatchewan. Special events are around the corner for the Batoche National Historic Site. This site was the last battlefield of the 1885 Northwest Rebellion. It was here that Louis Riel established the “Provisional Government of Saskatchewan”. Records relating to Louis Riel and the North West Rebellion are digitised and online. 1,066 images scanned online by Canadiana.org from the National Library and Archives of Canada. Records consist of correspondences, lists, notes, warrants and evidence statements including Louis Riel’s papers from Batoche May 11, 1885. Additionally, Library and Archives Canada have scanned images of Louis David Riel (1884-1885) and these digital photos are accessible at Flickr. 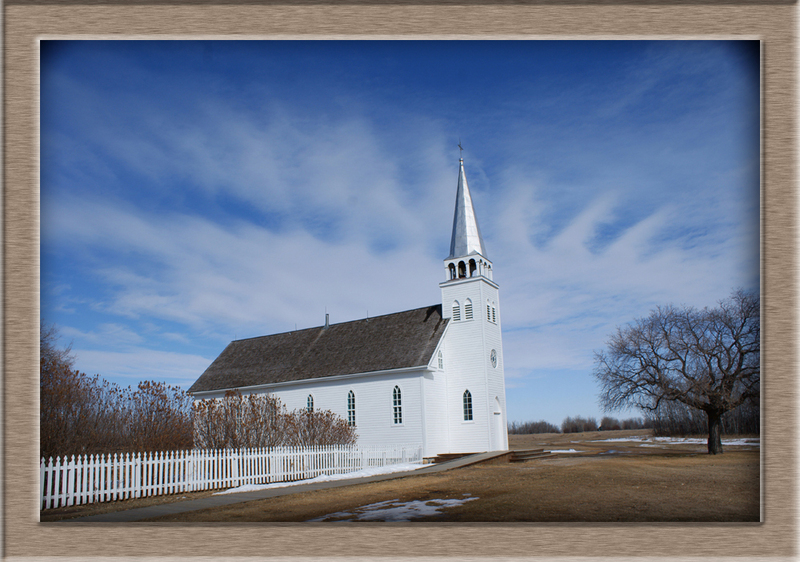 If you are planning a trip to Batoche (the area formerly known as St. Laurent Settlement, La Colonie De St Laurent) for the festivities take in a round trip of the nearby Fish Creek (formerly known as La Petite Ville, Tourond’s Coulee, Coulée des Tourond ) which depicts the history of the Battle of Fish Creek, and Duck Lake which is also nearby. The Duck Lake Battle. It is very easy to swing by Fort Carlton while visiting Batoche. A little further afield from Batoche are the events and historic sites of Frog Lake, Alberta; Fort Battleford; Fort Pitt, Frenchman’s Butte; and Cut Knife. To get an idea of the life and times of Métis, pioneer settler and Mounted Police, peruse these historical newspaper accounts from the late 1800s. The visitor will be able to experience traditional Métis food at the special events, and gain an appreciation of the Métis lifestyle between 1860 to 1900 from these interpretive historical centres. Saskatcheawn Gen Web Project – SGW – Métis Saskatchewan Genealogy Roots. Saskatchewan Gen Web Project – SGW – First Nations Saskatchewan Genealogy Roots. Below is a list and description of the most recent genealogy records for Finnish research. This report begins with Microfilm 1832 and Microfilm 1833 held by the Canadian Library and Archives, LAC and continues with new submissions of the New Finland District on the Saskatchewan Gen web. The microfilmed records of the LAC include Finnish plays, musical scores dating between 1905-1967. Included are regional and local records of the Finnish Organisation of Canada and activities of locals and district committees and church congregations across Canada between the time of the Finnish Organisation in 1902 to about 1977. Records of district committees for instance from Manitoba and Saskatchewan, comprise volumes 34-35,134,187 dating between 1915-1968. 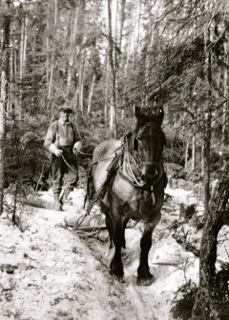 As well, from Manitoba and Saskatchewan, the locals of Lake Coteau, Manna, Mina/Nummola, New Finland, Pointe du Bois, Sherridon, and Steeledale/Coteau Hill have been preserved, the various Canadian local records date between 1903-1983 and are contained in volumes 46-57, 120, 128, 143-144,187-188,189,190-191,193. Youth Organization Records are local youth clubs whose archived documents date between 1934 to 1940. Separate to the above organizations were the Sports Organization Records which are held by the National Library and Archives dating between 1906 to 1973. The online digitization from Microfilm 1832 and Microfilm 1833 provided by Heritage Canadiana include the sections related to the Finnish language newspaper edition of Työmies . The microfilms contain newspapers published by the Finnish Publishing Company Limited and Vapaus Publishing Company Limited including Työkansa “The Workpeople” and Vapaus. March 26, 1908 on “Image 315”. The next record on microfilm 1832 in the New York Times Magazine dated November 18, 1927 on “Image 323”. October 6, 1908 on “Image 971”. The newspapers and publications have been collected since 1881. The majority of records on the two actual microfilms [1832 and 1833] held by the LAC are in the Finnish Language, however many are in English. The above digitized Työmies Finnish newspaper collection which is on the internet is written in Finnish. So, indeed, it looks like a considerable amount of information is contained in the Library and Archives reels 1832 and 1833 and it is most wonderful that the digitisation of records has commenced through Heritage Canadiana beginning with the historical Työmies Finnish newspaper. Additionally, the Central Organisation of Finns which became the Finnish Club; Winnipeg Branch has submitted digitised historical images at the New Finland District web pages on the Saskatchewan Gen Web. These historical Finnish Club images compliment the Martta Norlen Memories Scrapbook 1937-1974 which includes information online about the Central Organization of Loyal Finns in Canada Suomalainen Kansallisseura Winnipeg Branch Nov. 6 1931, Helene Schjerfbeck 1862-1947,Kirjoitettu Suomeksi, Newspaper Clippings, Pastori A Koski, Ration Books, and a collection of Various Letters Section. If you know of Finnish genealogy or historical records on the internet that have not been included at the New Finland District web site then please send us an email at newfinland201 AT @hotmail.com Please include the URL [http://www…] of the webpages which would link to the new records in your email. We wish you every success in your genealogical endeavours. In summary, the Library and Archives Canada (LAC) has a treasure of Finnish information contained on the two microfilms, 1832 and 1833, of which the Työmies Finnish Newspaper 1908 editions are online through Heritage Canadiana. The New Finland District in coordination with the Finnish Club have come together to bring historical information online in the form of historical images and letters, newspaper clippings, and ration books. Through these collaborations, and endeavours, it is hoped that those family historians are assisted with their genealogical and historical research.